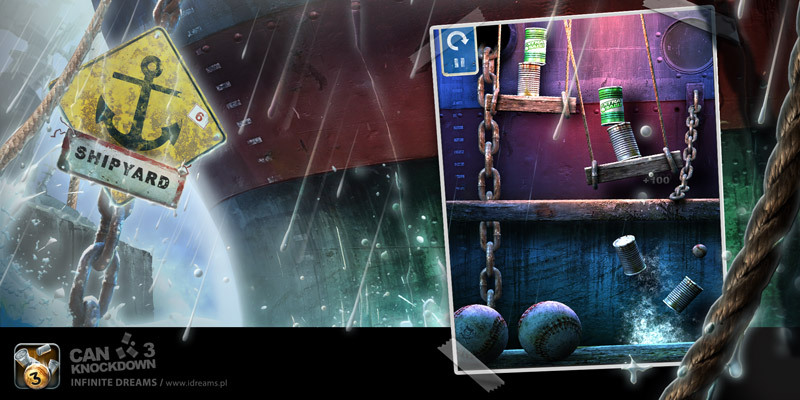 INFINITE DREAMS Games Forum - View topic - 20 new levels for Can Knockdown 3! Are you ready for new 20 levels? If so, here is a small preview of what you can expect in the upcoming Can Knockdown 3 update. The Armory levels will feature pipe cannons! Believe or not but they will mess around a bit. Be ready for a big challenge! 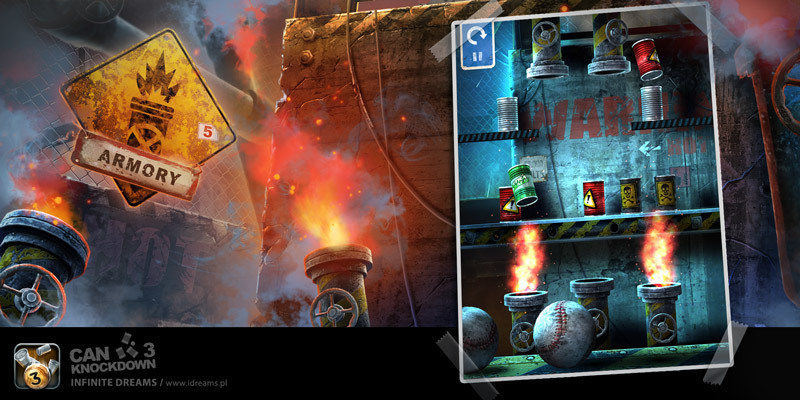 Re: 20 new levels for Can Knockdown 3! Are you ready for real knock down? Not 10, not 20 not even 30….40 amazing new levels will be added to the Can Knockdown 3 with the next update! Today you can check the screenshot from the Shipyard world.